Because every sculpture from the studio is 100% handmade, no two can ever be exactly alike. 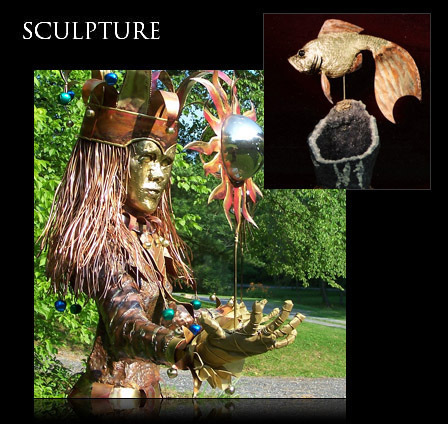 What makes owning a sculpture by Tracy Maisel special is the knowledge that the piece you love is completely unique. While work displayed on this page is representative of Tracy Maisel's sculpture, they may or may not be available at this time. Space is limited and we are unable to display every design, so please contact us for current offerings, to commission custom work or to purchase a Tracy Maisel Studios gift card, good towards purchases made online or in person at shows.